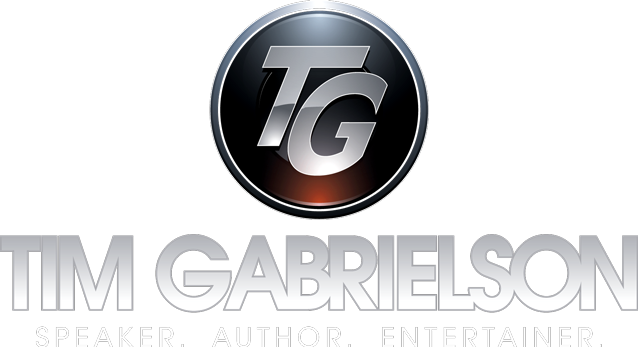 Sound, Lights and Stage – Tim Gabrielson | Speaker. Author. Entertainer. Tim Gabrielson | Speaker. Author. Entertainer. Please provide an 8’ X 8’ stage or riser (8’ X 12’ is preferable). If possible make sure the stage is high enough that Tim can be seen from the knees up by everyone. To create the best connection between Tim and your audience attempt to put the seating and stage as close together as feasible. (no more than 10ft from the front of the stage is ideal). The closer the audience is to the stage the better. Please make sure there is not a dance floor or orchestra pit separating the audience from the stage. If you have a choice between rooms for the event, choose the smallest room that will comfortably accommodate the number of attendees you expect. The less empty space in the room the better the energy and connection, creating a better show. The ability for Tim to patch into the main or house system. The patch requirements are either: one grounded XLR, allowing Tim to use his own mixer or two XLR inputs to main system if there is a sound engineer controlling the sound for your event. This is to plug his own, UHF Wireless headset Microphone and MP3 player (through Tim’s DI box) into your system. The minimum lighting requirements are simple just a good wash on stage. Facial expression is a large part of Tim’s Show. Don’t miss it with bad lighting! 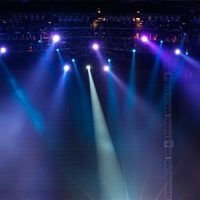 If theater lighting is possible a general wash in the middle ⅔ of the stage and the audience should be about 75-90 percent dark.